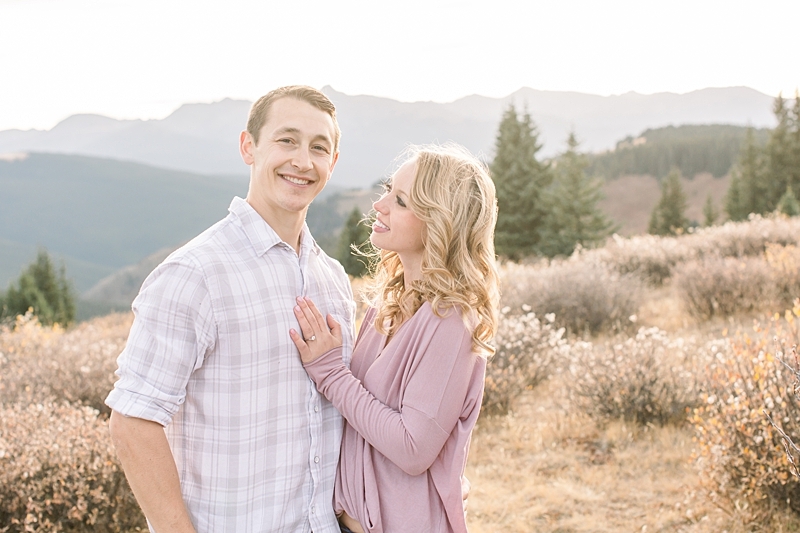 Stormi and Nick began dental school together at the University of Colorado School of Dental Medicine in August of 2015 and became fast friends right away. I mean, when your first official conversation is in the beer line at a Colorado Rockies game, you know it was meant to be! It didn’t take long before they were attending concerts and barbecues together. 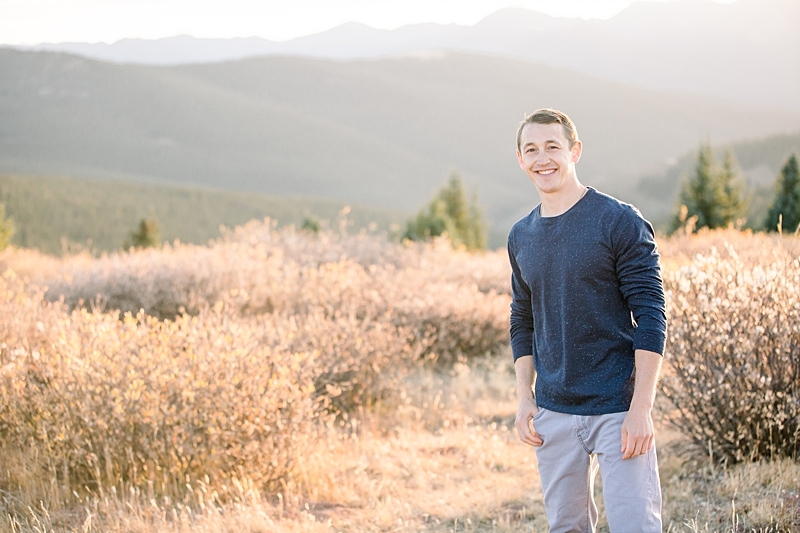 And during their first few weeks of school, Nick convinced Stormi to hike one of Colorado’s fourteeners — still one of their favorite memories. So it only made sense that we would hike Shrine Pass together for their engagement shoot. Though it’s not a fourteener by any means, this 4-mile hike outside of Vail, Colorado, has to be one of the most gorgeous in the state. We had the trail pretty much to ourselves, and Nick carried my camera bag for me — such a gentleman! Nick and Stormi both love country music, so it was not at all surprising that their first date would be to a Brad Paisley concert at the Pepsi Center. Nick’s two sisters gave them tickets, and Stormi got to meet them for the first time that night. In addition to going to concerts, they both enjoy hiking, skiing, traveling, hunting, boating, and fishing together. Nick introduced Stormi to scuba diving, which has became one of their favorite activities to share and has led to many underwater adventures in the most beautiful parts of the world. It was during a two-week backpacking trip in Belize that they both realized they wanted to marry each other. It might have been when they were scuba diving the reef, or the Great Blue Hole, or maybe it was when they were exploring the jungles and waterfalls of Central America. They don’t know the exact moment, but when they came back, they both knew they wanted to be together forever. Nick proposed on their annual Lake Powell houseboat adventure last summer, on a hike overlooking one of their favorite places. Stormi was completely surprised and told me it was so picturesque and perfect in every way! There was no cell phone service at the lake, so they used the satellite phone to dial up Stormi’s parents and sister, and Nick’s sister who couldn’t be there, and share the exciting news. Then they spent the day celebrating with the rest of Nick’s family — boating, surfing, playing games, drinking wine, and singing and dancing into the night. Speaking of family and friends, both Stormi and Nick’s families welcomed the other right from the beginning as if they were already family. Nick and Stormi enjoy annual hunting trips to her family’s ranch in Miles City, Montana, where they love to go pheasant hunting and eat delicious home-cooked meals with their Wild Game Feed group. They also enjoy an annual trip to Lake Powell with Nick’s family, a family tradition for more than a decade. Stormi and Nick love each other with the same joy and passion their families have poured into them. Stormi admires and respects Nick’s work ethic and “his steadfast commitment in all aspects of his life, including his family, our relationship, his career, his health, and our future.” Nick loves and treasures Stormi’s sensitivity, her passion to always help others, and how easily she smiles and laughs at everything, especially the little things. I can absolutely vouch for these qualities in both of them. After just one afternoon together, I couldn’t get enough of their sweet spirits, their integrity, and their joy for life, and for each other! 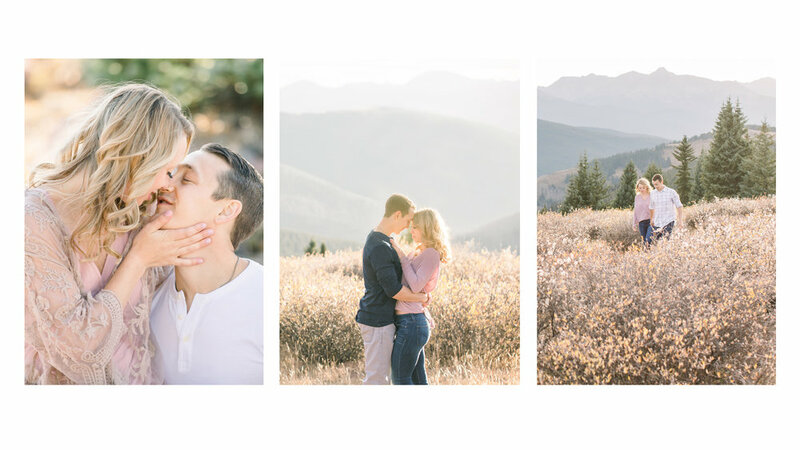 I cannot wait to be their wedding photographer and celebrate the first day of their marriage at The Woodlands in beautiful Morrison, Colorado, this May!